It's almost a given that we revert back to Asian, in particular, something soupy upon our return from any vacation away from Vancouver. 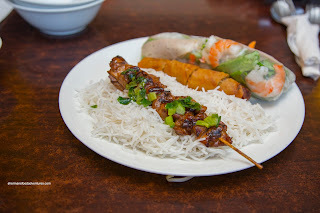 Normally our MO would be to hit up the nearest wonton noodle joint for some Chinese comfort food, however, we did Vietnamese this time around. 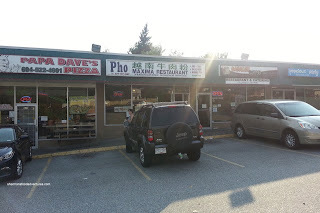 Since our route took us across the Alex Fraser and subsequently the Queensborough, we stopped at Pho Maxima where the food would be steaming hot, perfect for a warm Summer day (much like they do in Vietnam right?). Viv went for the standard with the large Pho Dac Biet that was a generous portion with chewy (and not clumpy) noodles. Our immediate reaction to the broth was akin to eating a salted duck egg - as in "woah" that was powerful. They weren't shy with the salt and MSG which meant that the noodles were pretty much seasoned as they were (soaking up the broth). Sure, it was flavourful, but at least for me, it was too much. Moving past that, the ample meat were sliced thin and generally tender. 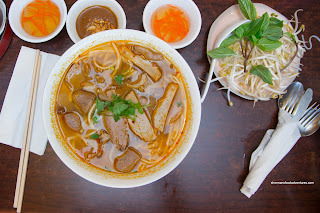 For myself, I had the Bun Bo Hue which was pretty aromatic from the shrimp paste, lemongrass and shallots. The broth as a whole was pretty clean with only a background spiciness. 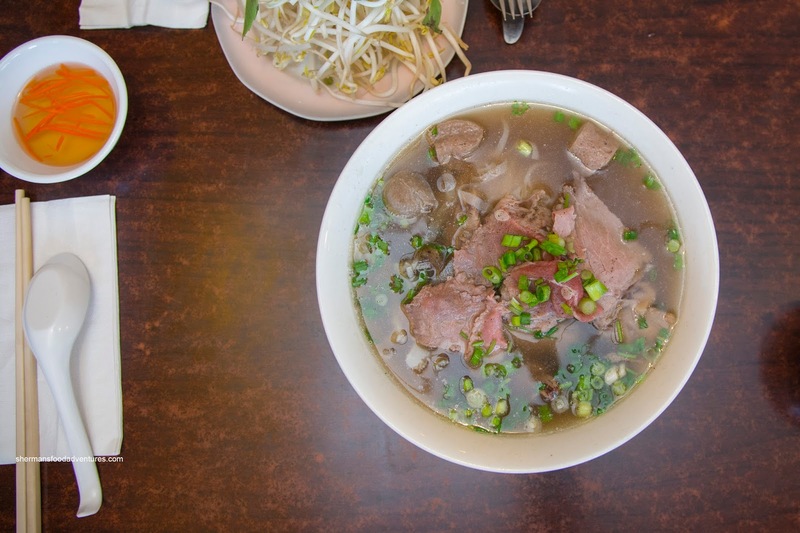 There were fewer noodles (slippery lai fun in this case) here than Viv's bowl, but the meats were still ample. 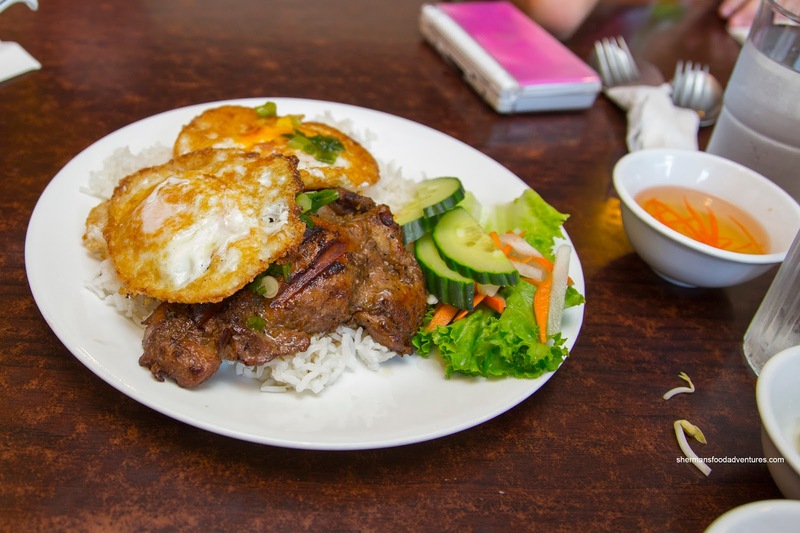 For the kiddies, we got them their favourite in the BBQ Chicken & Fried Egg on Rice. We felt this was a pretty decent version with chewy rice topped with a large piece of grilled chicken. There was only a modest amount of char, but the chicken itself was well-marinated with definite hits of lemongrass, fish sauce and sugar. It was sufficiently tender where the kids gobbled it up quickly. To round the meal out, we got a Combo A consisting one each of a Spring Roll, Salad Roll and Grilled Chicken Skewer atop vermicelli. A bit loose and only slightly crispy, the spring roll tasted good with the sweetness of onions and the saltiness of fish sauce. We found the salad roll to be pretty decent albeit loosely wrapped (and missing basil). Consisting of the same chicken as the previous dish, the skewer was also good. As always, the comfort of soup noodles hit the spot after days of burgers and such. 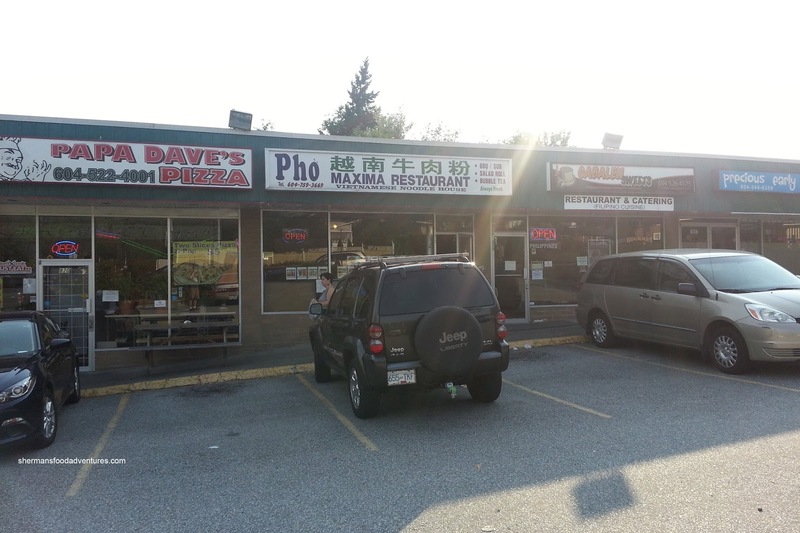 I felt this revisit to Pho Maxima was appreciably better than previous.